Sir Howard Hodgkin (1932-2017) was a prominent painter and printmaker. He was born in London and studied at Camberwell School of Art and the Bath Academy of Art. Hodgkin won the Turner Prize in 1985, represented Great Britain at the Venice Biennale and was knighted in 1992. His works are characterised by expressive, dynamic and spontaneous sweeps of bold vibrant colours, which consume the canvas. Emotionally charged, his works are usually small in scale but invite the spectator to decode and study the works up close. His earlier works appear more geometric yet his works from the 1970s have more fluid visual gestures. Although his works appear abstract, Hodgkin often insisted that each swath of paint represented a subject, time or place. 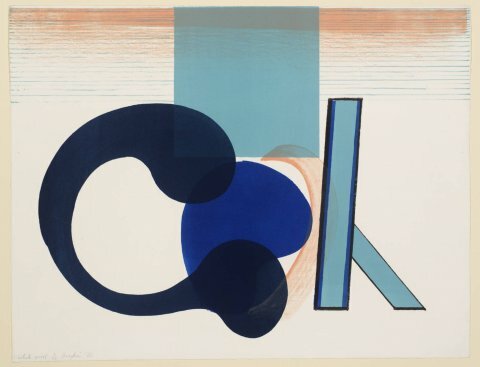 Hodgkin strove to replicate the process of creating his paintings in his prints often choosing aquatint or soft ground etching methods and building up layers of pigment. 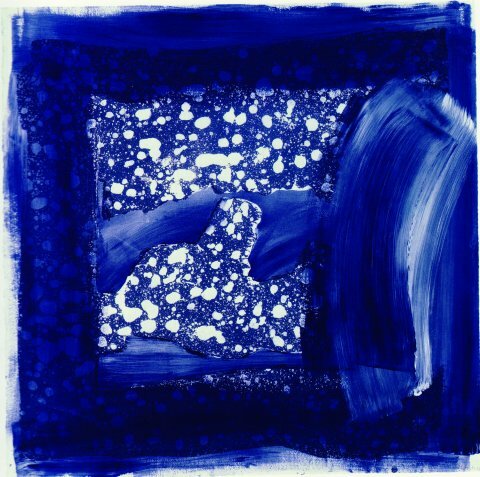 From the late 1970s, Hodgkin’s works began to synthesise painting and printmaking techniques by enlivening the print through additional hand-worked elements. Hand colouring was either used directly on the paper before printing, between different printed layers or alternatively applied after printing and sometimes these techniques were used together in a single print. This served to replicate the direct and fresh surface finish of his paintings. Many prominent galleries have held retrospectives of his work including the Tate Gallery London in 2006 and the Metropolitan Museum of Art in 1995. There are also plans underway for an exhibition at the National Portrait Gallery for 2017.